Freddie Vazquez and 2015 Esprit De Vie at the Pan Am Games in Toronto. Mettawa, Ill. – Sept. 13, 2017 – Freddie and Jodi Vazquez, trainers and owners of Messenger Hill Farm, a top-notch show hunter/jumper operation based near Chicago, announced that they have recently adopted the Cavalor nutrition brand for all the horses in their care. Cavalor is a global company that offers a complete line of horse feed, supplements and care products. Cavalor products are based on years of intense research and development, thorough testing, selection of the highest quality ingredients, and strict manufacturing and quality control processes. Jodi Vazquez and Quiloo, owned by Messenger Hill Farm. Photo by EQ Media. The Vazquezes appreciate that Cavalor makes a range of feed products that are appropriate for all the horses in the barn – from the ponies to the hunters to the grand prix jumpers. The Messenger Hill Farm stable management standards are very high. They like that Cavalor products are mostly non-GMO. They are also impressed with their customer service. 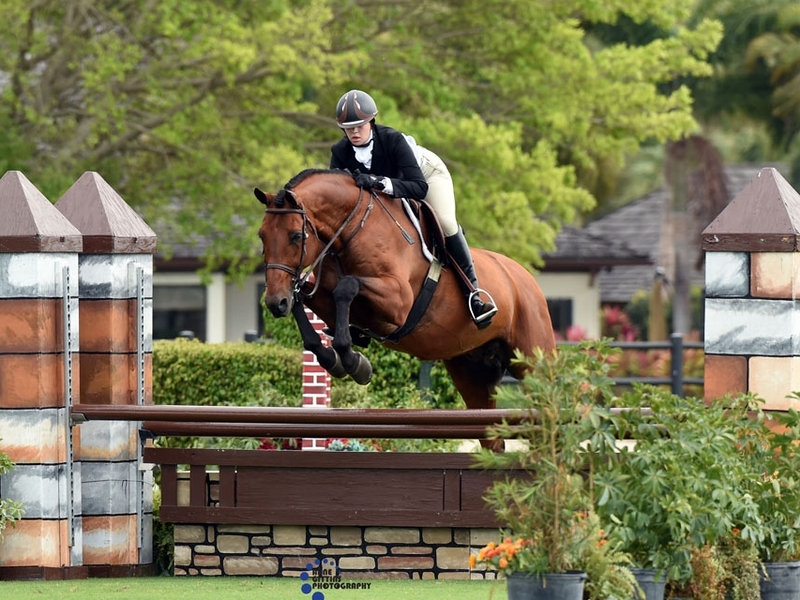 Messenger Hill Farm client Kira Telford and her hunter Calistoga Gold. Cavalor counts among its customers, supporters and endorsers an impressive roster of World Champions, Olympic medalists and World Cup winners. The success of these athletes is derived in large part from the continuous health and performance of their equine partners. It is a great testimonial to the Cavalor brand. Chloe Watrous and Page 6 . Photo by EQ Media. The condition of the Messenger Hill Farm FEI horses has not gone unnoticed. 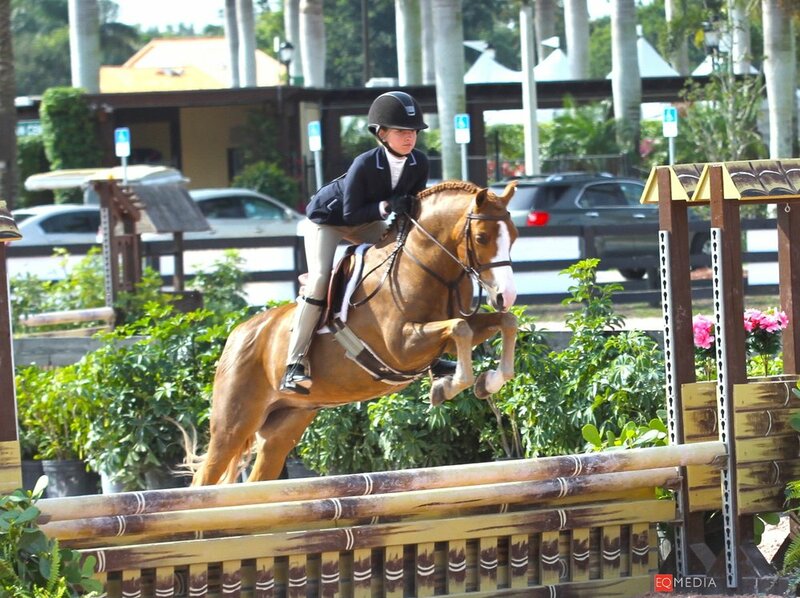 Over the last two years, they earned the Equis Boutique Best Presented Horse award an unprecedented four times out of the often triple-digit entry numbers at the FEI Horse Inspection during the Winter Equestrian Festival (WEF). Arnulfo Novoa, Freddie Vazquez and Zippo Z with Equis Boutique founder Elena Couttenye. Photo by Jump Media. To learn more about Cavalor go to cavalor.com. Messenger Hill Farm is a full-service hunter/jumper business owned and led by Freddie and Jodi Vazquez. Located just north of Chicago in Mettawa, Illinois, Messenger Hill Farm offers training, lessons, competition and sales. Freddie Vazquez represented Puerto Rico at the 2015 Pan Am Games and the 2014 Central American and Caribbean Games and has set his sights on competing at the 2018 World Equestrian Games and the 2020 Tokyo Olympic Games. He served as chef d’équipe of the Team Puerto Rico’s young, junior and child Nations Cup teams at the Winter Equestrian Festival. Jodi Vazquez is a top hunter competitor with countless AA championships to her credit. The Vazquezes teach the American style of riding as advocated by George Morris. They are known for their goal-driven approach and attention to detail. Messenger Hill Farm offers a show schedule at all levels; including local, national and international. The Messenger Hill Farm team competes at the Winter Equestrian Festival, Tryon International Equestrian Center, Kentucky Horse Shows, Lamplight Equestrian Center, Ledges and more. For those new to the sport, Messenger Hill Farm offers a lesson program with quality, well-cared-for horses. Click here to learn more about Messenger Hill Farm or call 847-573-1100.